Does the Social Security Administration recognize Fibromyalgia (FM) and Chronic Fatigue Syndrome (CFS) as the basis for disability? The short answer is “yes,” but unfortunately there are no objective medical tests to prove the existence of these illnesses, so it is important to know what SSA is looking for. Prior to 1999 many SSA adjudicators did not recognize CFS or FM as real physical impairments, although they were often treated as disabling mental conditions. In 1999, the SSA issued Social Security Ruling 99-2p, which provided guidelines for evaluating cases involving CTS (FM was included as a footnote). In 2012 SSA issued Social Security Ruling 12-2p specifically addressing FM, and in 2014 a new Ruling updated the process for evaluating CFS. A history of widespread pain in all quadrants of the body (both sides and both above and below the waist) and axial skeletal pain (cervical spine, anterior chest, thoracic spine or low back) – that has persisted for at least 3 months. 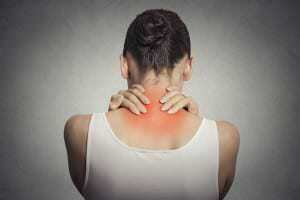 The pain may fluctuate in intensity and may not always be present. Evidence that other disorders that could cause the symptoms were excluded. Once you have proven the existence of FM or CFS, you must also prove that the condition causes functional limitations that would preclude your ability to work. This is usually done with your sworn testimony at a disability hearing, written statements from your medical providers, and lay statements from friends, relatives or former employers who have observed you. Fortunately most SSA adjudicators now recognize FM and CFS as physical impairments, and acknowledge the symptoms which can be very disabling. As with any condition, the more medical evidence you can muster, the better your chances to convince SSA that you are indeed disabled.